Thank you for choosing Hoffman Estates Surgery Center for your care. We understand how overwhelming it can be to deal with health issues, as well as the cost of paying for surgery. 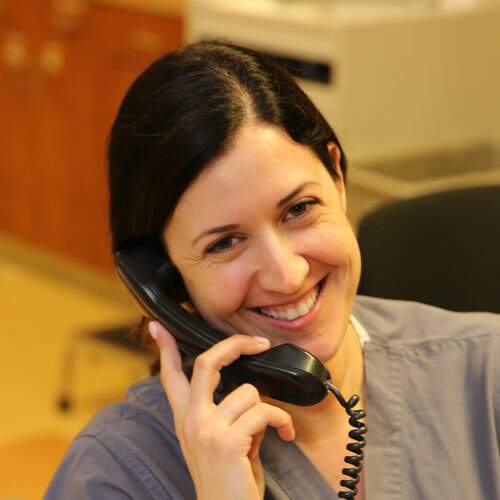 At Hoffman Estates Surgery Center, we want to make the process as easy and worry-free as possible for you. We’re here if you need help understanding your bill or need assistance making a payment. The facility fee covers the use of the facility only. The facility fee does not include laboratory, pathology or your surgeon’s fee. You will be billed separately for these fees. “Everything went smoothly from the beginning to the end. + Be prepared to pay any co-insurance/deductible amounts on the day of your surgery. + Patients who do not have insurance coverage are required to pay their charges in advance or on the day of surgery, in full. + Hoffman Estates Surgery Center accepts cash, cashier’s checks, Visa/MasterCard, American Express, Discover, CareCredit® and personal checks or you may pay online through our website. This facility is in-network and certified by Medicare. Medicare covers facility fees for approved services at an Ambulatory Surgery Center, which is a facility where surgical procedures are performed and the patient is released the same day. You pay 20% of the Medicare approved amounts and any applicable Part B deductible. HESC is in-network with Aetna, AARP, BCBS, CIGNA, Humana, Medicare, Tricare, United Healthcare and most other insurance companies. We encourage you to contact your insurance company directly to ensure coverage and better understand your specific surgical benefits.